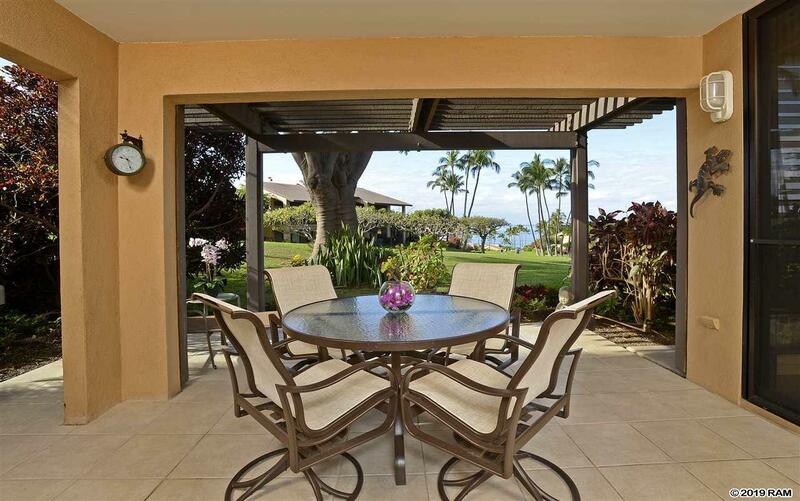 Rare opportunity to purchase a premier ocean view, two-bedroom, two-bath groundfloor unit on the prized Wailea Ekahi greenbelt. Wailea Ekahi 34C shines with pride of ownership and meticulous care as the current owners have used it only for personal enjoyment and visits from family and friends. Offering beautiful ocean views and direct greenbelt access from the open living room, dining area, kitchen, and master suite, this immaculate unit lives like a single family residence with three oversized lanais. 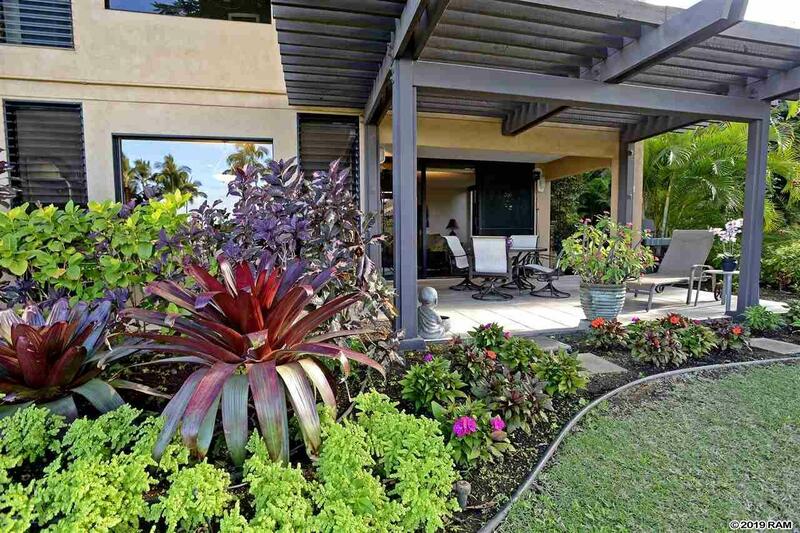 Sliding doors from the living and dining areas open to an especially expansive covered lanai with a fantastic view over the greenbelt, and dazzling sunsets. Renovated and upgraded features include custom-built tropical-motif Honduran mahogany cabinets with cane laminate inserts as well as beautiful granite counter tops in the kitchen and bathrooms. New split-system air conditioning units were recently installed for those rare evenings when the trade winds are quiet. Warm cork flooring throughout both bedrooms and the living/dining area offset tiled kitchen, bathroom and lanai finishing. Comfortably furnished with island-style furnishings, artwork and decorative pieces throughout. A fully stocked inventory is included. 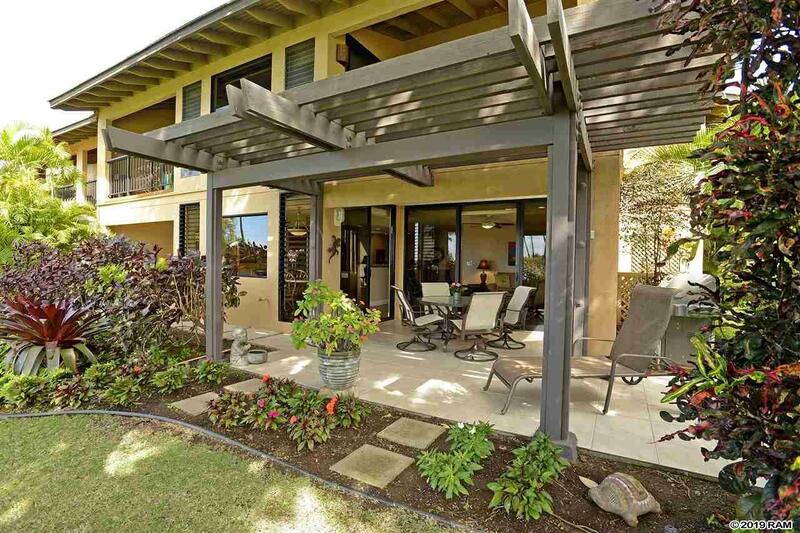 Ekahi 34C is highly desired as it is just a short stroll down the greenbelt to the main pool pavilion and entrance to Keawakapu Beach. 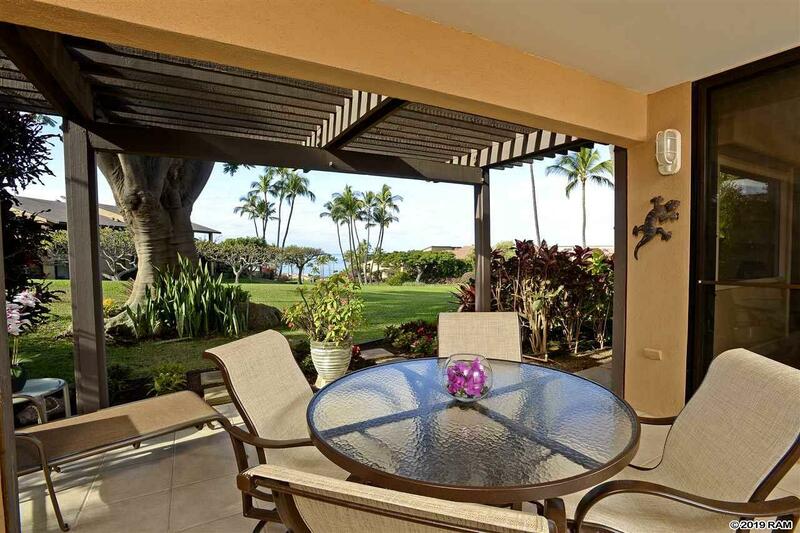 Wailea Ekahi additionally offers three smaller pools, pickleball and shuffleboard for owners and guests enjoyment. Ideally located, you are minutes to all Wailea Resort offerings including Championship golf, world-class beaches, shopping and dining. Listing provided courtesy of Elite Pacific Properties, Llc.